Everyone is on his or her phones whilst riding the metro these days. 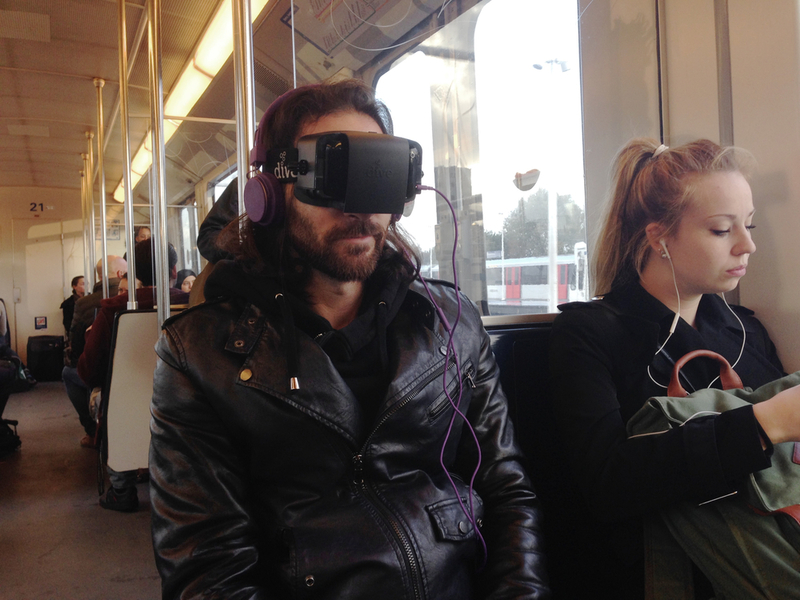 So it’s only a matter of time before everyone’s on VR. 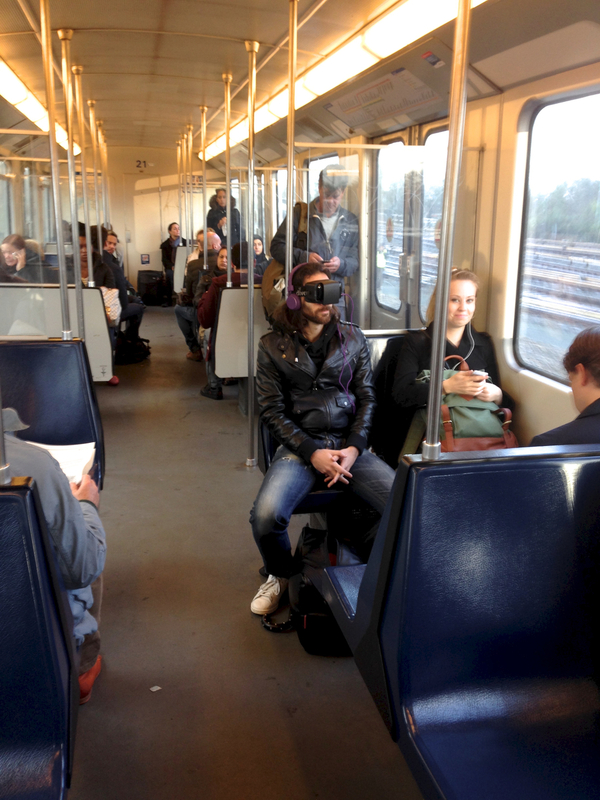 But what would it be like to be one of the first to wear VR on public transport (at the very least in the city of Amsterdam)? It seems not much different from having your head buried in your phone, just a whole lot better, especially whilst running our upcoming relaxation app Project Serenity! At the start whilst putting the headset on, I did get some looks. My colleague Christopher (taking the pictures) mentioned that while wearing the device, people would glance towards me and then revert back to their mobile phones, doing whatever it was they were doing. Most people were so locked into their phones that they didn't even notice I had a headset on. In this day and age, it seems people are curious but not surprised by much. From a usability side, you do have to keep an ear out for the callout of the next station so you don't miss your stop, or maybe a pocket alarm would be more fitting as not to unnecessarily disrupt your experience. Perhaps that's an insight to build into our app. One things for certain, taking the metro was definitely a more enjoyable experience!